All organizations want to adopt an agile approach and update production regularly with changes and/or enhancements. As a result, there is a high demand for continuous-integration and continuous-delivery pipielines within organizations. During this session Chamith will introduce seven easy steps that organizations can follow when building CI/CD pipelenes, best practices to use when building pipelines and technologies such as platform native installers. He will also discuss selective product updates that WSO2 offer and how organizations can build and run WSO2 solutions on multiple infrastructure platforms. Chamith has over eight years of experience in computer systems and network administration and currently oversees WSO2's overall Public and Managed Cloud operations. He was an original author of the Texplorer Project and is interested in platform and infrastructure virtualization, distributed computing, Cloud technologies, IT security, IT automation and orchestration. 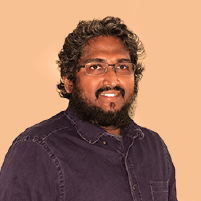 He is an active member of the Lanka Linux User Group (LK-LUG) that advocates the use of free and open source software applications.